Thank you for visiting Las Colcheras Quilt Guild web site. The Las Colcheras Quilt Guild (LCQG) is dedicated to promoting the art of quilting in Las Cruces, NM. We endorse the philosophy of community service and engage in activities that support that philosophy. We are dedicated to sharing our knowledge and love for quilting with its members and guests and within the community. We enjoy learning new skills and encourage our members to share their ideas and talents. We generally meet the third Monday of each month at the American Legion Post 10, 1185 E. Madrid Ave., Las Cruces, NM., where we hold a program each month which includes a speaker and an opportunity for members to share quilts they have made. Members also meet informally in various quilt bees throughout the month. We host a biennial quilt show in February of even years and a biennial in-town retreat for our members on odd numbered years. We host National Teachers once or twice a year and promote in-house workshops. We welcome all who have an interest in quilting at any skill level and we have Bees that support all levels of quilting. 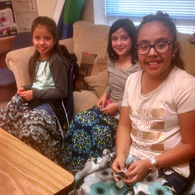 The LCQG promotes community service by providing quilts in support of local organizations such as Project Linus, Cowboys for Cancer, Jardin de los Ninos, Search and Rescue, and Disabled American Veterans to mention a few. We welcome guests and hope that you will come by and check out what we have to offer. All Meetings are now held in the evenings at 6:30PM.